I'm excited to announce that my new book, A Guide to Birds of San Juan Island, is now available for sale. It's a project I've been working on for the last 13 months - not only the researching and the writing, but collecting the photographs, drawing the maps, doing the layout, and starting a small business in order to self publish! San Juan Island is a diverse place made up of a wide variety of habitats: shorelines, farmlands, forests, and prairies. As a result, over 300 bird species have been documented here. Whether a budding nature enthusiast, an advanced birder, or somewhere in between, A Guide to Birds of San Juan Island will give you details about all of the birds that can be seen here and where to find them. Part species guide and part site guide, Monika Wieland's book will help residents and visitors alike discover more about the bird life of San Juan Island. "A good local field guide ranks right up there with binoculars in the birdwatcher's toolbox. 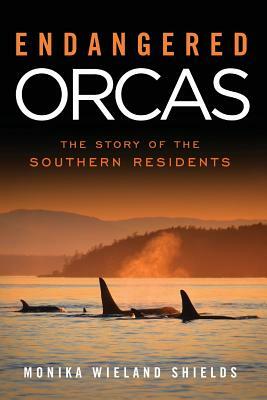 Monika Wieland's book will be a great asset to anyone exploring San Juan Island in search of birds." In addition to being available on Amazon (see the link above), it is currently available on San Juan Island at The Whale Museum, Griffin Bay Books, and Harbor Bookstore. It makes a great gift for the holidays! I hope you enjoy it! Congratulations for a job well done. I love my copy of the book. Congrats on your new book..